Marie Edgar, 98, died at home in Oak Bluffs on Saturday, Dec. 8, 2018. She was predeceased by her husband, William R. Edgar. She is survived by her sons, Donald and Scott Edgar. Visiting hours will be held on Monday, Dec. 17, from 9 am to 10:30 am in the Chapman, Cole and Gleason Funeral Home, Edgartown Road, Oak Bluffs, followed by a graveside service in the Oak Grove Cemetery, Pacific Avenue, Oak Bluffs, at 11 am, officiated by the Rev. Dr. Roger Spinney. 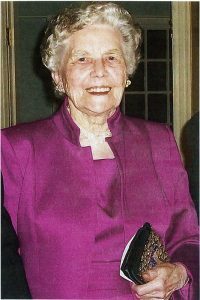 Donations in her memory may be made to the United Church, P.O. Box 99, Carmanville, NL, AOG 1NO. A complete obituary will appear in another edition of this paper. Visit ccgfuneralhome.com for online guestbook and information.